The Union Cabinet approved Seventh Pay Commission Allowances by making 34 changes to the recommendations on 28th June, 2017. The 34 amendments made in Seventh Pay Commission will affect around 50 lakh employees working in public sector, and will show a whopping increase of Rs.1448.23 crore p.a. We have penned down all the important things you should know about this hot topic. 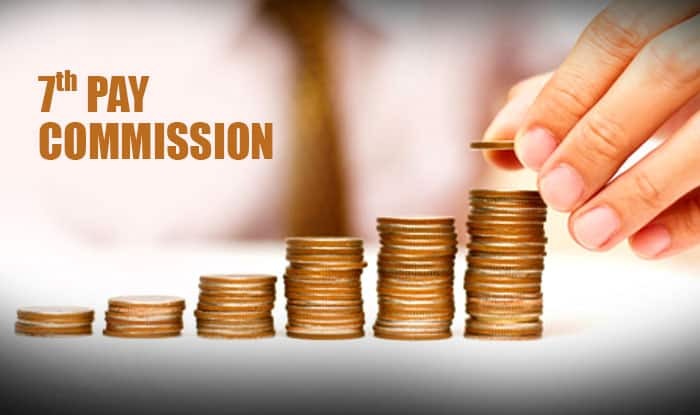 As per the recommendations of Seventh Pay Commission, 12 out of 53 allowances have not been abolished, while 3 out of 37 allowances that were recommended for subsumption will tend to exist as individual entities. The panel has recommended reduction in rates from 30% to 24%, 20% to 16%, and 10% to 8% for X, Y and Z category cities respectively. Cities having least 50 lakh population fall in X category, 5 to 50 lakh population in Y category, and less than 5 lakh population in Z category. Because of seeing no positive impact of this reduction for employees falling in low-bracket income, it was decided that House Rent Allowance for X, Y and Z category cities won’t be lower than Rs. 5400, Rs. 3600 and Rs. 1800. The floor rate is ascertained at 30%, 20% and 10% of the minimum pay of Rs. 18,000. After Dearness Allowance crosses 50% and 100%, the HRA will increase to 27%, 18% and 9%, and 30%, 20% and 10% respectively. The Siachen Allowance, considering the risks faced by Jawans & JCOs falling in Level 8 and below, will be hiked from Rs. 14,000 to Rs. 30,000 per month. While the allowance for Level 9 Officers and above will increase from Rs. 21,000 to Rs. 42,500 per month. For the purpose of maintaining uniforms of different categories of employees, Dress Allowance will be availed in 4 slabs including Rs. 5,000, Rs. 10,000, Rs. 15,000 and Rs. 20,000 p.a. SPG employees will receive a higher dearness allowance considering their current rates. The areas falling under Tough Location Allowance are divided in to three categories. The distinct cells of R&H Matrix will regulate the related rates which will be between Rs. 1,000 and Rs. 5,300 every month. Children Education Allowance is increased from Rs. 1500 to Rs. 2250 per child or month. However, it applies only to only 2 children. Also, the Hostel Subsidy will rise from Rs. 4500 to Rs. 6750 per month. The special allowance for Child Care for Women with Disabilities has been increased from Rs. 1500 to Rs. 3000 per month. Civilians will also get a Higher Qualification Incentive of Rs. 10,000- Rs. 30,000 instead of Rs. 2,000- Rs. 10,000 per month as grant. Ration Money Allowance, supposed to benefit 43,000 defence officers, continues to persist. Technical Allowance will integrate with Higher Qualification Incentive for Defence employees. Further, High Altitude Allowance granted to Defence Forces and CAPF personnel will shoot from Rs. 810- Rs. 16,800 per month to Rs. 2700- Rs. 25,000 per month. An exclusive allowance of Rs. 5000 for Special Train Controller is introduced, and the additional allowance rates have been enhanced from Rs. 500 or Rs. 1000 per month to Rs. 1125 or Rs. 2500 per month. The rate for Nursing Allowance has been increased from Rs. 4800 to Rs. 7200 per month. And, the allowance rates for Hospital Patient Care have been raised from Rs. 2070- Rs. 2100 per month to Rs. 4100- Rs. 5300 per month. Benefitting around 5 lakh central government pensioners, the rate of Fixed Medical Allowance has been increased from Rs. 500 to Rs. 1000 per month. The Launch Campaign and Space Technology Allowance is increased from Rs. 7500 to Rs. 11,250 annually. The non-gazetted personnel working in Department of Atomic Energy will also receive Professional Update Allowance of Rs. 11,250 per annum. The rates covering Antarctica Allowances will be increased from Rs. 1125 per day to Rs. 1500 per day in summers, and Rs. 1688 to Rs. 2000 per day in winters. The postmen and trackmen in Railways will continue to receive Cycle Allowance, and the rates have been increased from Rs. 90 to Rs. 180 per month. And that was all for this most trending topic in current affairs. As the allowance rates for Seventh Pay Commission have been significantly increased, we expect to that the standard of living of pensioners, government employees, nurses, railway personnel, etc. will be improved.